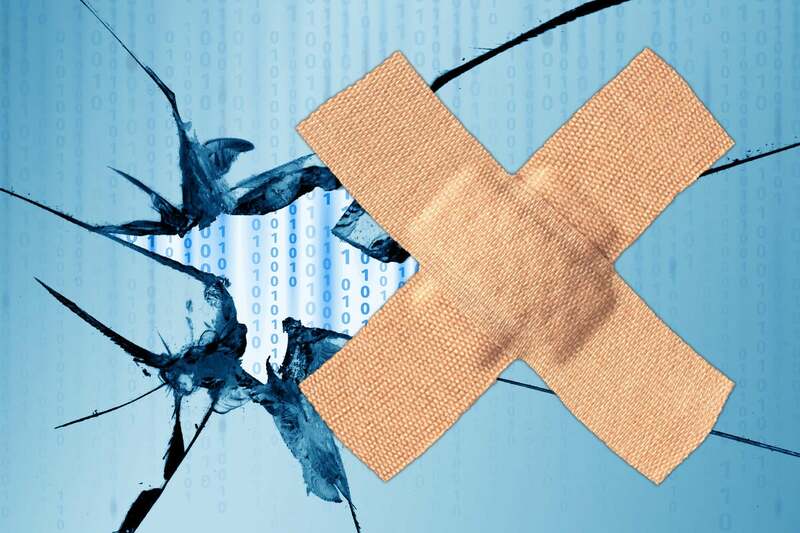 The July Patch Tuesday crop teems with bugs — some of them acknowledged. Snooping patches KB 2952664 and 2976978 return. If you ever needed a good excuse for delaying patches, this month is it. You know it’s going to be an Alice in Wonderland month when some sites report that Microsoft plugged 54 vulnerabilities on Patch Tuesday, while others report 53. Fact is, patching has become so brutal — and so banal — that there’s no consensus on counting, much less on what’s good and bad. Suffice to say that, once again this month, there was a huge number of security patches (129 individual patches, according to the Microsoft Update Catalog), with no pressing security fixes unless you’re using the Edge browser or Internet Explorer. Microsoft changed Win10 version 1803 to “Semi-Annual Channel,” but the term now means less than it ever has before. If that’s possible. Moral of the story: Don’t use IE or Edge, and wait a few weeks to see if any of the other patches blow up — which is pretty close to the same Patch Tuesday advice I’ve doled out monthly for the past year. For a comprehensive listing of all the patches, see Martin Brinkmann’s list on Ghacks. For the best in-depth analysis, see Dustin Childs’s review on the Zero Day Initiative blog. The SANS Internet Storm Center says there are no known exploits for any of the patches, although three of the exploits have been disclosed to the patching community. None of the three is particularly interesting, unless you use Edge. There are “critical” fixes for Edge (12 critical) and Internet Explorer (four critical), but no “critical” fixes for any Windows version. It still amazes me how many major security problems crop up, month after month, for Edge. Our evergreen snooping patches, KB 2952664 for Win7 and KB 2976978 for Win8.1 make a reappearance, this time marked “Important,” checked and ready to load. Similarly, KB 4023057 — an “update reliability” patch for older Win10 versions — has appeared again. Unless you want Microsoft to push you to a new version of Windows, you don’t need or want them — they only shuffle more telemetry data off to Microsoft. (1) Windows 10, version 1803 designation has been updated to reflect the servicing option available in the operating system and to reflect existing deferral policies. We recommend organizations broadly deploy the latest version of Windows 10 when they are ready, and not wait until the “Targeted” designation has been removed. … surely one of the worst cases of Microsoft bafflegab ever. Based on the update quality and reliability we are seeing through our AI approach, we are now expanding the release broadly to make the April 2018 Update (version 1803) fully available for all compatible devices running Windows 10 worldwide. Full availability is the final phase of our rollout process. Now, it seems, version 1803 has been kicked up from “(Targeted)” to, uh, "Not (Targeted)" — without fanfare, and with no explanation. How "Not (Targeted)" differs from “fully available” remains a mystery. Win10 1703 Pro/Enterprise computers set to “Current Branch” with 0 days feature deferral are now earmarked as being ready for upgrading to 1803. They’ll be pushed to 1803 as soon as telemetry confirms that the computer is compatible. Win10 1709 Pro/Enterprise computers set to “Semi-Annual Channel” with 0 days feature deferral are also earmarked as ready for 1803, pending telemetry results. At least, I think that’s what it means. Neither the “reflect existing deferral policies” footnote in the old KB article nor the June 14 declaration of “fully available for all compatible devices” mean much of anything, as best I can tell. Marketing pabulum. If you want to keep 1803 off your machine, make sure the feature deferral setting is large. And pray that Microsoft doesn’t go rogue on forced updates again. We’re slowly unraveling this knot on the AskWoody Lounge. Currently, there is no workaround for this issue. Microsoft is working on a resolution and estimates a solution will be available mid-July. The patch was reissued on July 11, but it looks like there was only a change in detection logic (“metadata”). An anonymous poster on AskWoody says it was yanked from WSUS. There’s an … entertaining … thread on Reddit that blasts Microsoft for releasing a patch that, knowingly, blows away fundamental Server functions. What on earth is Microsoft thinking? Permit me to rephrase that. Is Microsoft thinking? It’s caused by the .NET 4.x rollup component KB 4338419, which somehow conflicts with the last two rollups KB 4229727 (the Preview from June) and KB 4096417 (the May rollup). Reboot and KB 4338419 will install successfully. If you’re on Windows 10 1803, Windows Update takes care of the botched up .NET 4.7.2 release shipped with that Windows version. If .NET 4.7.2 was installed before today on a previous Windows version, make sure to check out the offline installer and reinstall again from the updated installer! Re-running the updated .NET 4.7.2 should not cause any issues. In order to re-install .NET 4.7.2 without reboot, make sure to shut down all .NET apps (including Web apps running in IIS) before running the installer. If the .NET 4.7.2 SDK was installed before today as well, make sure to download it and reinstall again. This .Net patch is also failing, with the same error code, in Windows 8.1. That’s a remarkable achievement because Win8.1 continues to be the most stable version of Windows available. Symptom: There is an issue with Windows and a third-party software that is related to a missing file (oem<number>.inf). Because of this issue, after you apply this update, the network interface controller will stop working. If you can figure out that logic, yer a better hack than me, Gunga Din. I’m beginning to think that Microsoft won’t ever fix this NIC problem. If it decides to pass on a solution, I hope Microsoft just comes out and says it, instead of burying the decision and doctoring old documentation to cover it up. It'd be nice if Microsoft would identify the offending NICs as well. Let's hear it for transparency. They say they will not do GWX again, OK, but the real question is what WILL they do? We’ve seen, over and over again, that the Customer Experience Improvement Program settings have no bearing on these patches’ increased telemetry. If you’re even remotely tempted to install either of these “important,” checked patches, see @PKCano’s AskWoody KB article on the subject, AKB 2952664. ProTip: Microsoft has no incentive to improve Win7. None. Unless you’re offered a clearly identified security patch, you don’t want it, checked or not. We plan to stop shipping delta updates. Beginning February 12, 2019 Microsoft will end its practice of creating delta updates for all versions of Windows 10. Express updates are much smaller in size, and simplifying the cumulative options available will reduce complexity for IT administrators. Oh, no you don’t! I clicked on the “X” and closed the box – it was not then listed in the downloaded updates. There’s no new SSU for Win10 version 1703. At least, not yet. Obviously, it’s much too early to install the July patches — unless you want to join the ranks of the unpaid beta testers. Abandon hope all ye who enter the AskWoody Lounge.